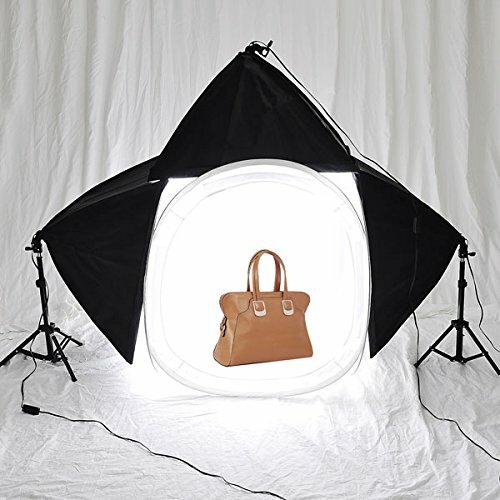 This an upgraded photography light tent exclusively for web retailers and commercial product catalog! A photography light tent with 3 softboxes offers your lighting from top and sides directions for best results. The 3 x 65w bulbs delivers extra powerful and soft even lighting! Perfect for objects less than 32in., such as toys, accouterments, small furnishings and souvenir, etc. Easy to exchange different color backgrounds with velcro tips.